The President's state visit to Japan is indeed another fruitful one like his recent trip to China. On his way home,he is carrying with him another set of good news as a gift to the Filipino people. President Rodrigo Duterte's trip to Japan has secured $1.8 Billion in investment pledges from japanese companies including commitment s from Toyota Motor Corp. and Mitsubishi Motors to build subcompacts in the country. According to DTI Secretary Ramon Lopez,the decision of the two auto giants to build Vios and Mirage models will boost Manila's effort to revive the country's automotive industry.The Toyota Vios ,a popular model in the country will be manufactured in the Philippines for the first time,Lopez said. "This will mean more business activities and more jobs," He said. "A total of 12 investment agreements were signed on the sidelines of Duterte's official visit here, which also covered agriculture and renewable energy. These are expected to generate 250,000 jobs," Lopez told reporters. The President is expected to be back in the country late Thursday after the 3 days visit to Japan. In 2012, Suzuki Motor inaugurated a motorcycle plant in Canlubang, Laguna, in addition to its facility in Pasig City. In 2014, Toyota and Mitsubishi threatened to close their assembly plants and move to Malaysia and Indonesia due to rising costs. Earlier this year, Chinese manufacturer Foton Motor’s factory started operations in the Clark Freeport Zone. Here's another good news,DA Secretary Emmanuel Piñol confirms P5 Billion Banana supply contract for Japanese market.The contract signing between the Department of Agriculture and a Japanese company to supply around 20 million boxes of Cavendish bananas to Japan every year was witnessed by President Duterte. Tokyo, Japan - In formal ceremonies today at the Prince Tower Tokyo Hotel, President Rody Duterte witnessed the signing of an agreement between a Japanese company and the Department of Agriculture for the supply of 20 million boxes of Cavendish bananas to the Japanese market every year. The deal, which was made possible with the help of House Speaker Pantaleon Alvarez, is expected to earn for the country an estimated P5-B every year. The signing of the agreement will mark the start of the development of about 7,000 hectares of banana farms which the Japanese company, Farmind Corp., would like to be located in former conflict areas in the Southern Philippines. The project is estimated to result in a direct employment of 14,000 farm workers and many more in direct employment in other ancillary services. The Farmind Corp. project is really aimed at providing livelihood opportunities for rebel returnees and beneficiaries of the agrarian reform program. This project was referred to me by House Speaker Pantaleon Alvarez right after I assumed office as Secretary of Agriculture. The deal was among those signed during President Duterte’s three-day visit to Tokyo, where he discussed economic and defense concerns with Japanese leaders. Speaker Alvarez referred to me the proposed project two months ago and I received a briefing from his staff on the intention of Farmind president Tatstuo Horiuchi to provide livelihood agrarian reform beneficiaries, as well as former rebels, to support the President's peace efforts. 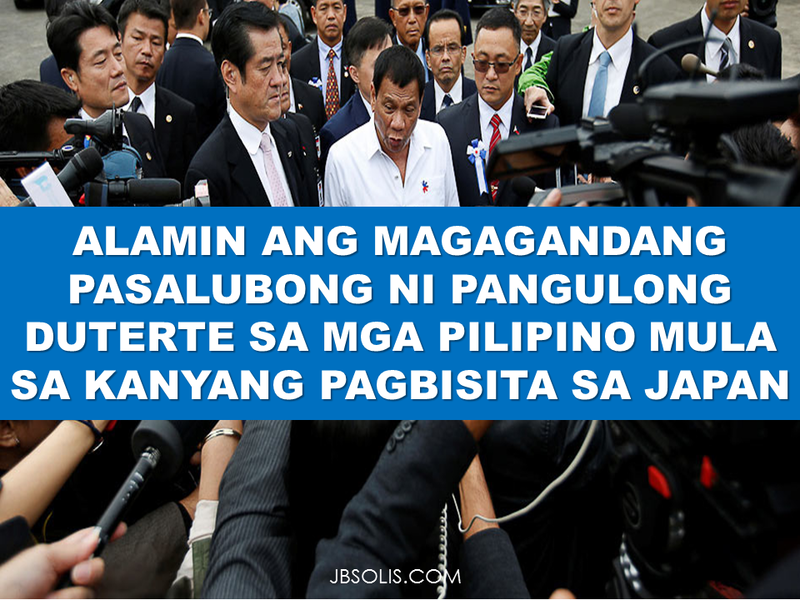 “I asked him if he could help the Philippines, especially the CARP [Comprehensive Agrarian Reform Program] beneficiaries, the rebel returnees, if they could commit to buy quite a number of fruits coming from the Philippines at a good price,” Alvarez told reporters in Tokyo. Philippine bananas dominate the Japanese market supplying as much as 90% of the total requirements but in recent years, bananas from Ecuador have penetrated Japan. Currently, the Philippines only holds 75% of the banana supply in Japan and this is mainly because the low prices of oil have allowed Ecuador to bring its bananas to Japan at a lower transport cost. The entry of the Farmind supply contract, however, will once again allow the Philippines to dominate the Japan market.